The home automation accessories market has been hurtling along at its own pace for quite some time, but it was only going to be a matter of time before things really got interesting. 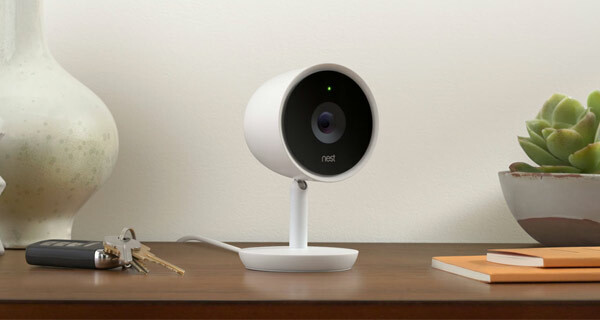 Alphabet-owned Nest has just taken that step into the extraordinary by introducing the brand new Nest Cam IQ, an indoor security camera with 4K video, powerful new speakers, a sleek new design perfectly designed to fit into any home environment, facial recognition, among other things. Nest has been clever with the naming of this new piece of kit by giving it a name that instantly tells you what it’s all about. It falls nicely into the existing range of Nest hardware, but it’s instantly more intelligent and more capable than the other Nest Cams on offer. And you wouldn’t expect anything less from a company that’s continually looking to push boundaries and iterate with each product release. It’s all about learning from previous successes and failings and building that experience into the next product to hit the market. 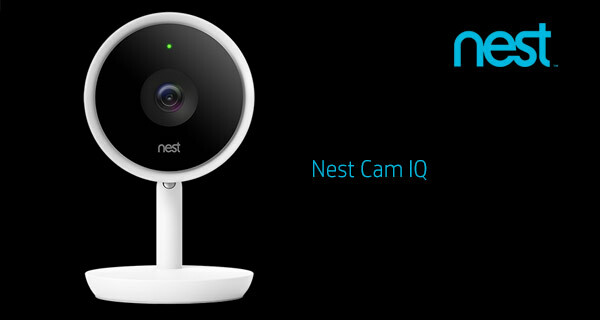 The Nest Cam IQ is that product. What we have is a new indoor camera option that stands alone as its own product and doesn’t attempt to replace any of the existing cams. The IQ is a significantly improved version of the existing Nest Cam Indoor, albeit with a more intelligent approach and a whole new set of internal components to make it stand apart. It comes with a new 8-megapixel 4K sensor to capture up to 4K stunning video at the property. It also offers 12x digital zoom, HDR capabilities, and two built-in infrared 940nm LEDs in order to offer that stunning night vision. The Nest Cam IQ takes a step forward with its crisp, powerful audio features too. It comes with a powerful set of speakers that make it extremely easy to have two-way communication with a person that may be in the property under the supervision of the camera. In fact, for those that are into statistics and metrics, the company is boasting that the Nest Cam IQ speakers are 7x more powerful than those in the original Nest Cam Indoor. The audio input aspect of the device is also significantly improved with three built-in microphones all equipped with noise and echo canceling to ensure the highest quality transmitted sound. As far as intelligence go, Nest Cam IQ features facial recognition, meaning it can identify different people by their faces and can then notify you about them via push notifications. Alphabet-owned Nest is putting the Nest Cam IQ up for immediate pre-order in the United States for a cool $300. Individuals in the United Kingdom, France, Netherlands, Belgium, or Ireland will be able to grab it for €349. The hardware will be available in additional countries from June 13th.